It Christmas and once more the ornaments have been hauled out of storage and put on display. But why? That is the question that the Christmas tree ornaments are asking themselves. Why are they stuffed in boxes for months on end just to be hauled out and stuck on a prickly old tree once a year? As they argue amongst themselves and bemoan their aches and pains from being cramped up for so long, they are suddenly confronted with the characters from the crèche: an angel, a shepherd and a wise man. They've come to tell the ornaments to keep it down as they are going to wake the "baby." This leads to the unfolding of the Christmas story as the crèche characters relate the story of God's gift to mankind, the birth of His Son. As the true meaning of Christmas is finally revealed to them, the ornaments find their own unique way to honor the newborn king. An ideal one-act play for actors and audiences alike to see that under the fun, glitter and glitz of Christmas there is an everlasting present that will never lose its brilliance. A: I really can't explain where my inspiration comes from at times. I just try to look at Christmas and how we celebrate it to see if I can use that as a new way of telling the Christmas story. With "Twas the Clash Before Christmas" it was about the family gathering. 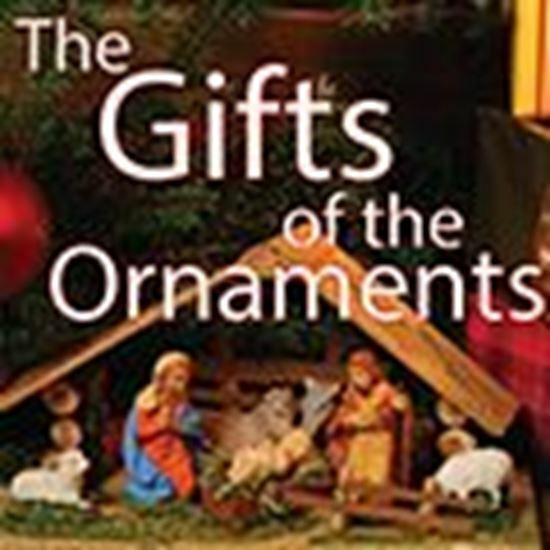 With "The Gifts of the Ornaments" it was the Christmas tree. A: My favorite line was when Gloria arrives from the crèche and asks the ornaments to keep it down or they are going to wake the baby. This common line that everyone has probably said at one time or another shows that the Christ Child was indeed a little baby completely human yet God incarnate. A: The characters in this play are just based on how I would think a particular ornament would respond to a given situation. For example, the Nutcracker and Toy Soldier would want to guard and protect the others, the bear would be prone to taking naps, the Gingerbread Man ready to run away...etc. A: Just to redirect the focus of Christmas back to the Christ Child. A: Just that I hope everyone enjoys them and gives a thought to the real meaning of Christmas.